These are unbelievable chrome art deco display cabinets. 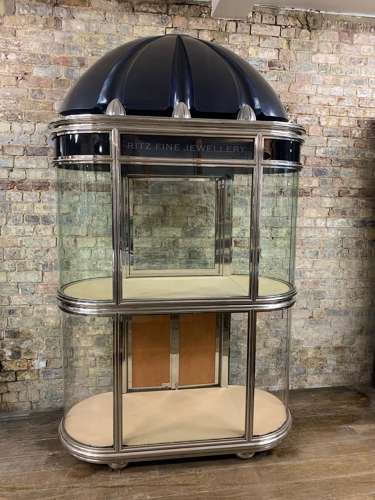 This is a once-in-a-lifetime opportunity to purchase these cabinets - they were originally made for the Ritz hotel and would be gorgeous for any jewellery shop, home or gallery. They have bow ended glass on both sides and say on the front 'Ritz Fine Jewellery". This cabinet also has lights inside.